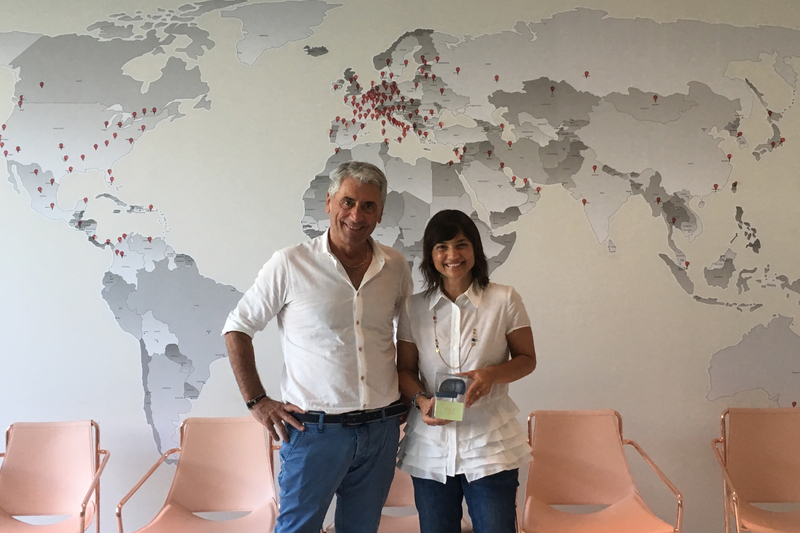 On Monday, July 31, under the periodic forecast of production activities, we welcomed in Midj the President of Friuli-Venezia Giulia Region Debora Serracchiani. The President was welcomed by the President of Midj S.p.A. Paolo Vernier and illustrated to the President the production process that takes place internally from model design to industrial production; It was a real tour started from the steel processing departement passing through the prototype division, assembly, packing, up to the show room where a selection of models is displayed. At the end of the visit, the President issued a statement to the press about her day: "These are all companies that, with their productivity, reward the territory they are in. An applause should be addressed to these entrepreneurs who have pushed a great deal on innovation and Have decided to remain firmly rooted where they were born, but with a well-oriented future look "(source www.presidente.regione.fvg.it).